Astrophyllite polishedgemstone. Astrophyllite, sometimes spelled astrophollite, is named from the Greek word 'aster," meaning "star," and "fyllon," meaning "leaf." 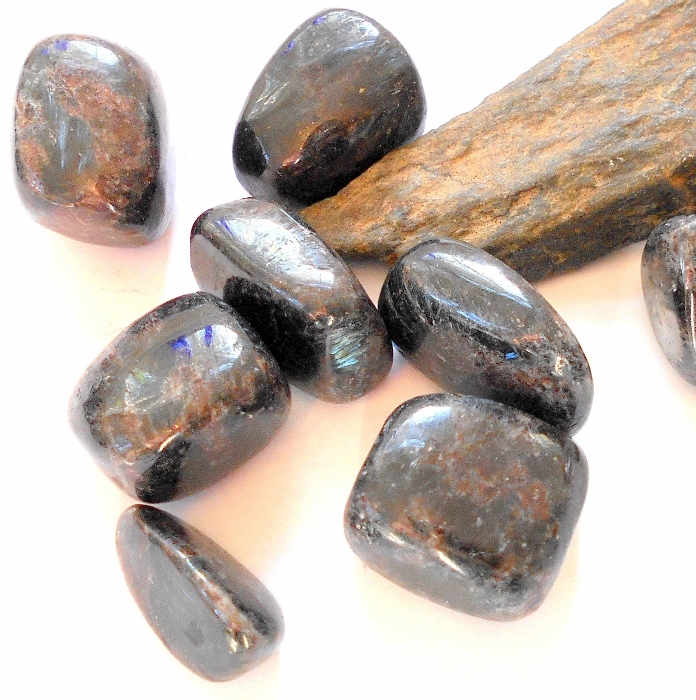 It was first discovered in 1854 in Norway and is a rare and scarce stone, sourced primarily in Russia now. Astrophyllite is useful for combating electromagnetic pollution, activating all chakras, telepathic communication, and relieving guilt. It can help with decision making and reaching your potential. 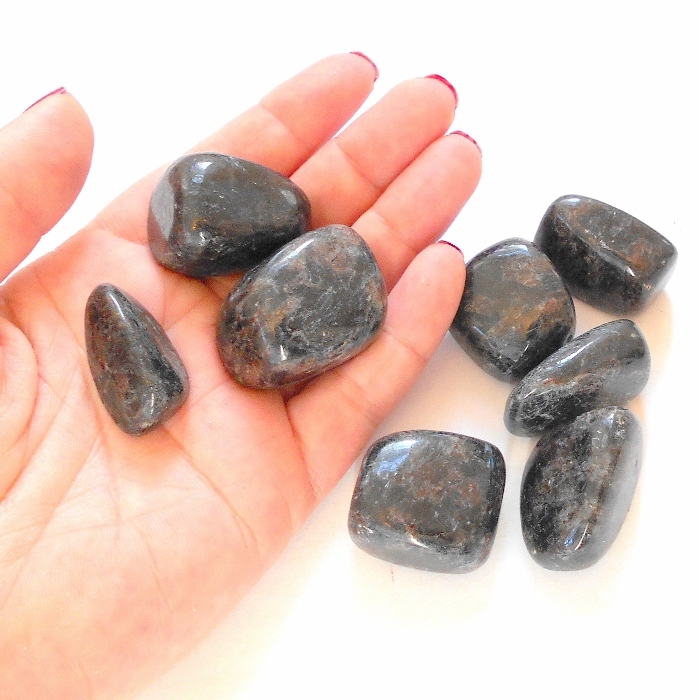 Physically, astrophyllite is useful for the reproductive system and nervous system. 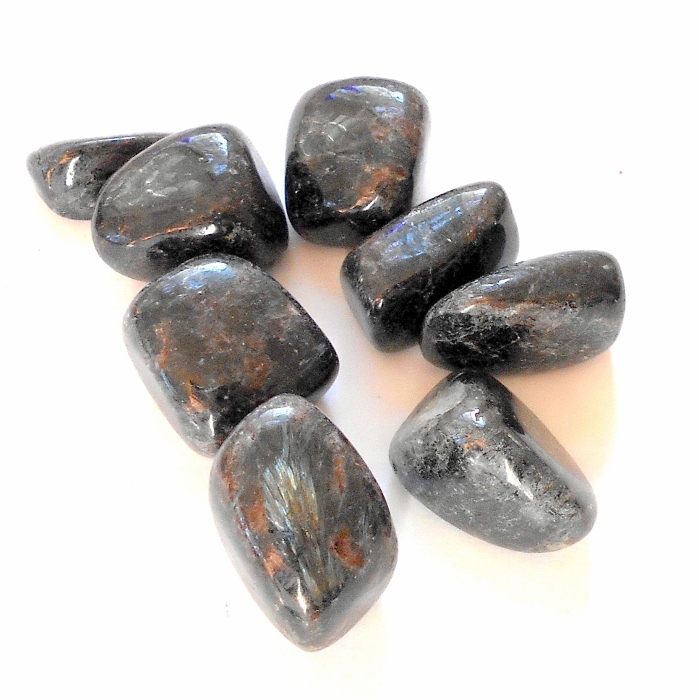 Astrophyllite stones are approximately 1 1/4 to 1 1/2 inches each. Price is for one polished stone.